Surround yourself with friends, fun, and activity at Bluff Creek Terrace Senior Living. 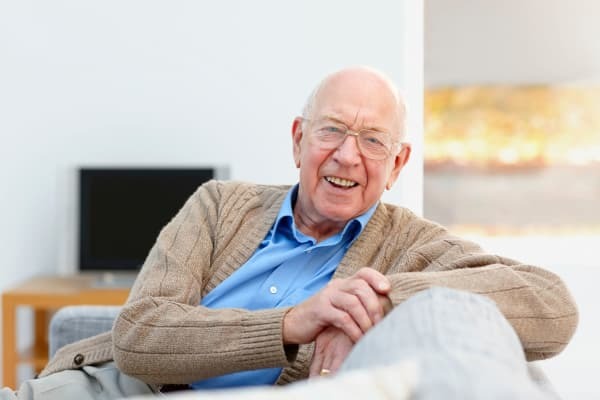 At our Columbia retirement community, we believe your golden years should be among the most enjoyable of your life. Learn new skills, discover a new hobby, or revisit old pastimes – how you spend your free time is up to you. We even offer intergenerational programming to keep you connected to the community. The Bluff Creek Terrace Senior Living culture embraces wellbeing and enrichment in every moment, from lunch with friends, to a walk around the grounds to appreciate the spring blooms, to live music performances in our elegant community room. Bluff Creek Terrace Senior Living is proud to offer a fully equipped wellness center complete with a NU-Step™ bike and weight station to help you stay healthy and active. While fitness is of course an important aspect of wellness, it is not the only one. At Bluff Creek Terrace Senior Living, we look at wellbeing holistically. That’s why we also focus on providing opportunities to enhance spiritual and mental health. Join us for volunteer opportunities in Columbia, programs with local churches, or for an adult education class. Our monthly activities calendar is centered around the seven dimensions of wellness – social, emotional, spiritual, environmental, occupational, intellectual, and physical. We include at least one activity for each dimension of wellness and at least two activities per week related to wellness. Past activities have included pet therapy visits, dominoes, chair exercises, Bible study, bingo, and more! For more information on life at Bluff Creek Terrace Senior Living, please contact us today.